Students get A LOT MORE than just learning music. 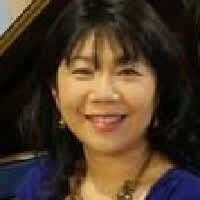 Ms. Mitani believes that music education at any age builds creativity, independence, and confidence. Music education not only opens our eyes to the world around us, but better equips us to handle the challenges in our lives. She will tailor curriculum to meet each student's specific needs and personals goals. All genres including Latin Jazz, Salsa, Pops, Classical, Traditional, Church music, and more. Ages 7 and up.